Becoming a property developer can appear to be a relatively easy way to make a lot of money with little experience. Simply buy a few flats, houses or other buildings, do them up and rent out or sell on for a lot more than the initial price. In fact, there is a lot more involved in the practice of becoming a successful property developer. For starters, you’ll need a lot of starting capital to purchase properties. If you don’t have enough money outright, you need to be in a stable financial position to secure funding. Investing in property is often viewed as a relatively safe option, especially as houses have been increasing in value a lot over the past decade or so. Yet the property markets do swing, so it’s important to do your research before deciding to invest. House prices in the UK have been on the rise for quite a few years now, offering excellent opportunities for any entrepreneurs hoping to get into the property developer game. However, in light of the recent Brexit announcement, a lot of experts are predicting that house value will drop, but only when the UK officially leaves the EU. 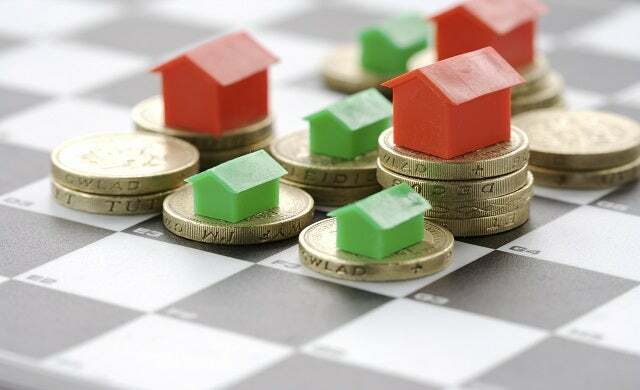 Given the impending Brexit, there seems to be two good times to begin developing property in the UK; either as soon as possible while most homes retain or are still increasing in value, or waiting until after Britain has left the UK when property prices will be lower. This will depend on what timescale you are working on and any other events affecting Brexit. Commercial finance will be the first funding option that most individuals or businesses looking to get into property development will turn to. Most of them will take into account your financial circumstances and requirements to work out the best possible lending options for your required purposes. While there are many different types of lending open to businesses and individuals, using a service that is specifically designed around property developments holds many benefits. Find out more here about commercial finance and the options available. When you or your business are hoping to get into property development but only for non-residential property, such as shops and warehouses, a commercial mortgage can help. They work mostly in the same way as private mortgages and can be used to buy property for your own business or to later sell on. This means you can spread the cost over a longer period of time to make it more affordable. It is a lot easier to take one out as an existing business, with a good track record, rather than a start-up or solo entrepreneur. Depending on the scale of property development you are hoping to amass, a buy-to-let mortgage could be a good place to start. This is ideal for just securing the finance for one residential or commercial property, but if you are hoping to add more to your portfolio you will need additional funding from elsewhere. Still, buy-to-let mortgages are designed to do exactly what they say and can sometimes offer more favourable rates. For budding property developers who are working on a tight budget, property auctions can be a great place to find a bargain. It is essential you either use professional services when buying at auction or are confident in yourself that you know what to do, otherwise you could miss out or end up with a dodgy property purchase by accident. There are many lenders that specialise in auction finance and ensure you receive the requested finance in good time. This is helpful because most auctions houses normally need the money within four weeks of you making a winning bid. These should all be explored to see if any are available funding options that will be appropriate for your borrowing and development needs. Some of these are undergoing changes, while a few offer a certain amount of risk that not all potential property developers will think are worth it, so weigh up the pros and cons first. As well as the money required to begin purchasing properties to rent out or sell on for a profit, you may need help when it comes to covering other related costs. Short-term funding, known as bridging or development finance is designed to do this. It can be used for everything from decorating costs to development work such as doing up the kitchen, bathroom or anything else related. In addition to bridging finance, you may consider invoice factoring companies as a source of income. Want to embark on a career as a property developer? Read our free step-by-step guide on how to start a property development business.